This guitar was the big turning point for me. It changed my idea of how to approach the selection and acquisition of guitars, and it steered me well away, for a long time, from any idea of preference for expensive vintage instruments, though I hadn’t been contemplating anything like that kind of purchase. This seemed like indulgence enough. I bought it to get acquainted with p90s, and it made me love them right away. These things are built in Indonesia. They have solid agathis bodies and can vary a good deal in weight. Relatively lighter ones seem better in my experience; the heavier ones can be leaden, at least those I’ve played. They’re a great value, really, with surprisingly good medium C 9.5″ maple necks, but they need things. I thought the pot-metal saddles probably weren’t helping the guitar any, so I started asking questions, and that’s when I learned about callahamguitars.com. Bill Callaham makes great parts out of great materials and prices them like a machinist–reasonably, but with respect for the work involved. For forty bucks and a little measuring, I got the right set of bent steel saddles and the guitar lit up. I was astounded at the time. After the switch, I decided the bridge pickup didn’t measure up to the neck, which was true but also turns out to be an indicator of my own preference for string travel as an element of guitar sound. Out of that discontent, though, I learned about Lollar and Fralin pickups. I called them both up about a single replacement, but ended up buying not one but a pair of batwing p90s from Lollar, who won out on what I was able to get of the sound online. On good advice from the guy I spoke to at Lollar, I went ahead and swapped out the cheap electronics for CTS and Switchcraft stuff. I also added an Electrosocket from my new resource at Callaham. 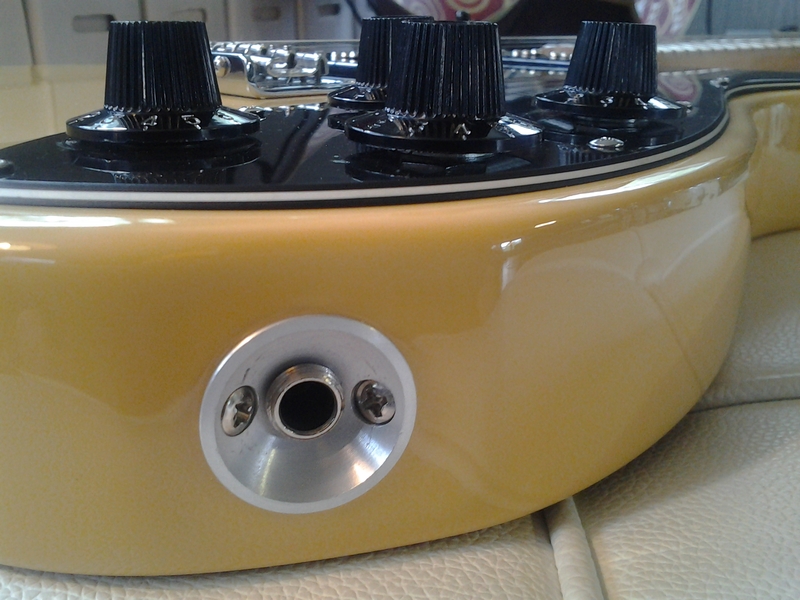 While I was at it, I had the guitar fitted with Klusons and a bone nut. Zing! The smartly conceived and well executed Electrosocket (~$12) is on more of my guitars than an other piece of kit, including the consummately brilliant Mastery Bridge. Not only did the guitar sound better than every other instrument I had–at least as they were at the time–it counterintuitively felt every bit as good. At a total investment still under $600, that was stunning to me. 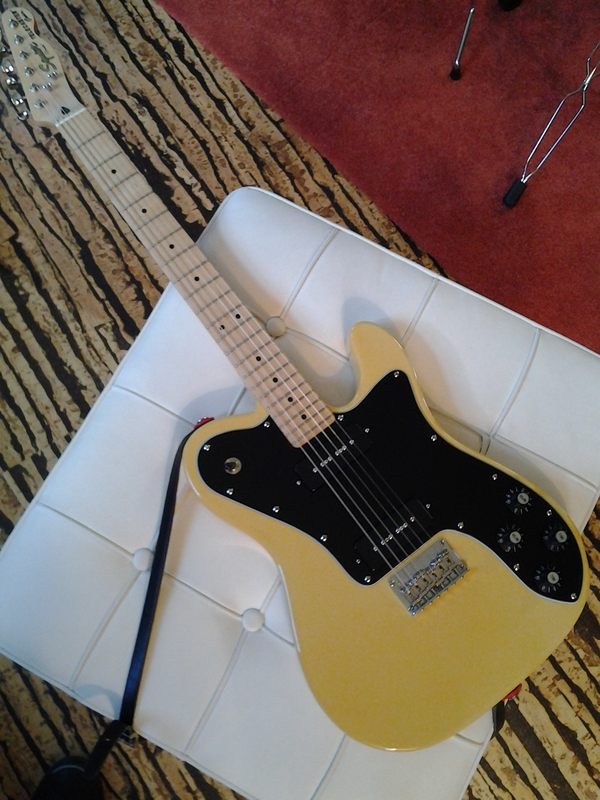 I discovered, into the bargain, that telecasters were magnetic– fundamentally perfect guitars for me. What’s more, I discovered that I really liked figuring guitars out: knowing what makes them tick and learning how to manipulate the parts to make the whole better than their sum. 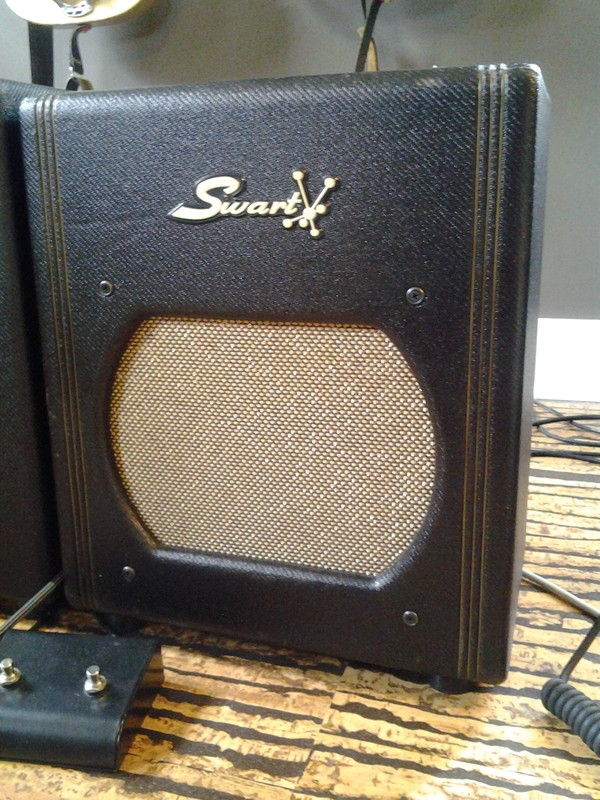 It didn’t hurt at all that my getting this guitar coincided more or less perfectly with my purchase of a Swart AST Pro, which I found after deciding that I needed a small amp to play when the AC30 was too much (it was always too much). It also didn’t hurt, in terms of grounding my own appreciation, that a couple of local luminaries liked my make-do Squier better than their own upscale instruments, or that one of them picked up his expensive guitar with disgust after playing my ramped up cheap one for 10 minutes with explicit pleasure. This tele was also my buddy when I was camping out in the shell of our gutted house during a winter remodel while my wife and kids stayed warm and civilized at my parents. The Swart hung in for as long as there was current, but the tele was no fair weather friend. 41°F. GHS burnished nickel 11s.